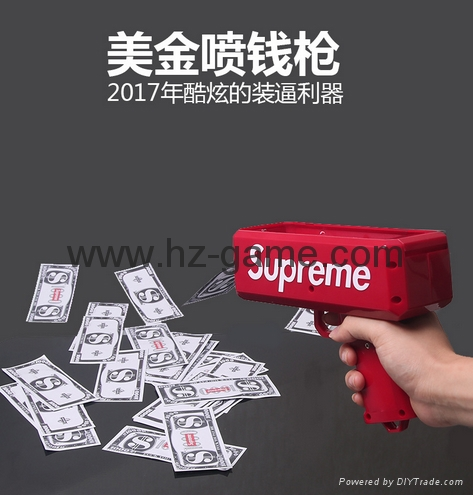 [Product Name] - Super Gun Electric Money Gun. 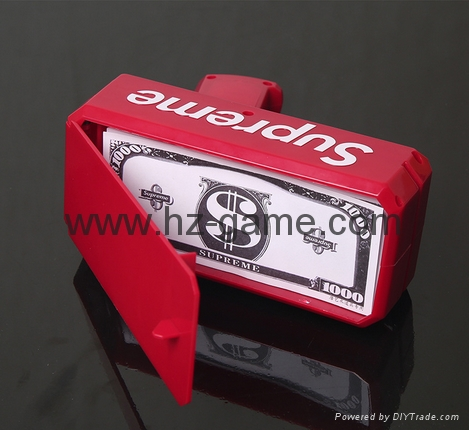 [Cash props] - 100pcs US Dollars. 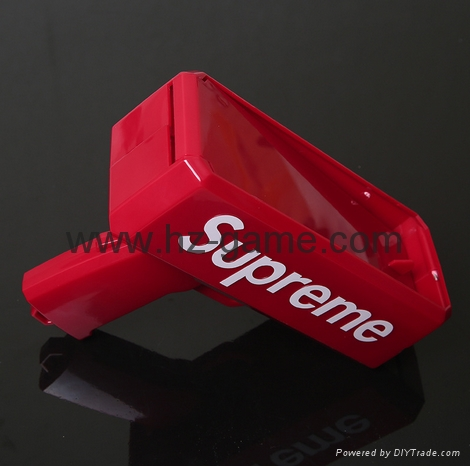 [Battery] - 2pcs AA battery (battery not included). 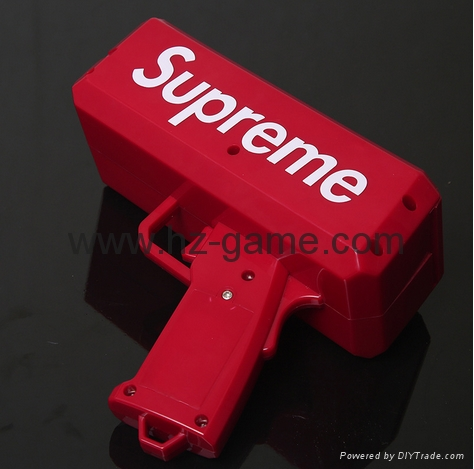 [Uses ] - Interactive toys, Funny toys, holiday gifts, party toys. 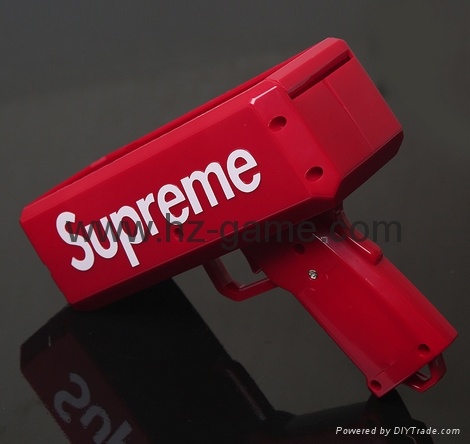 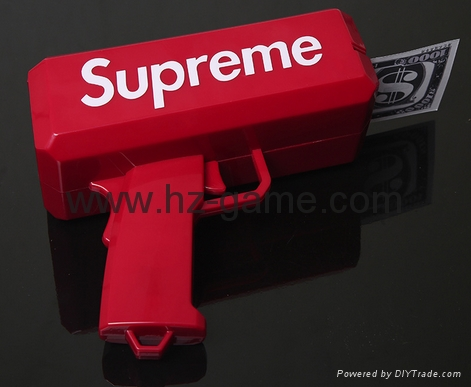 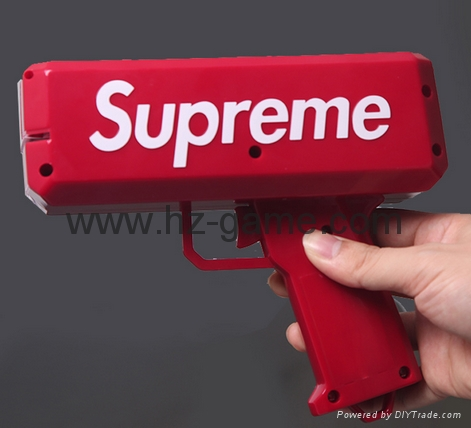 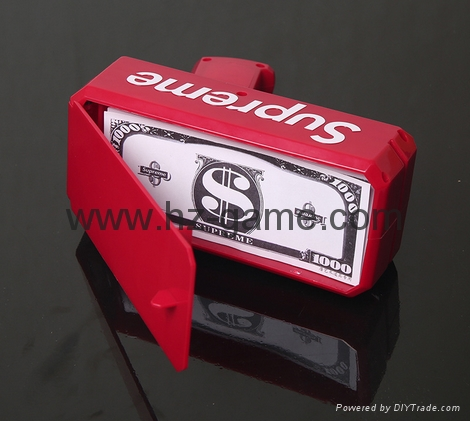 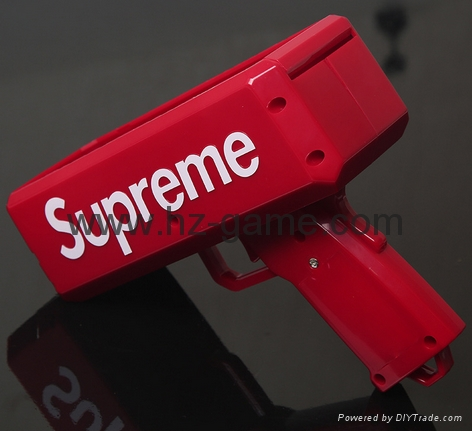 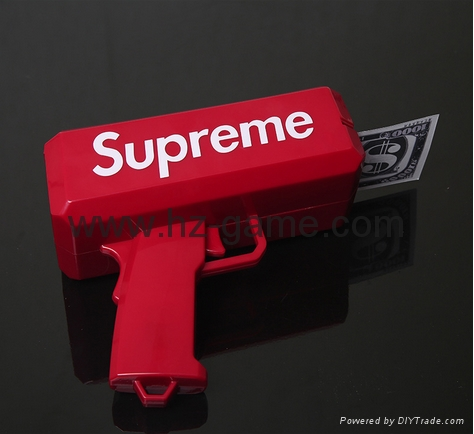 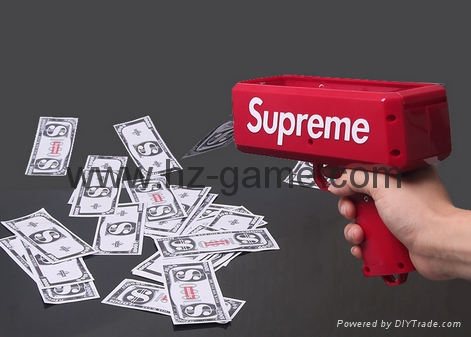 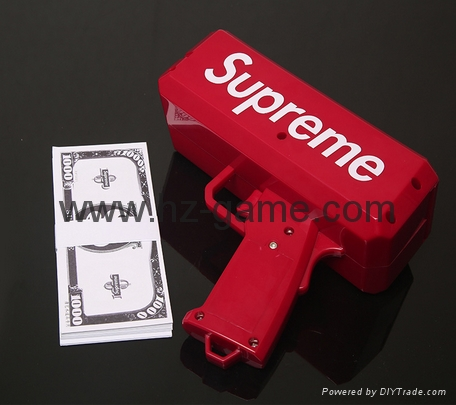 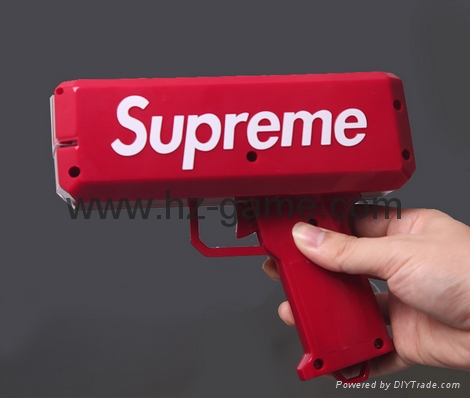 [Features] - Supreme money Gun, let you feel the sky of the money with the wind to bring pleasure, more cool. 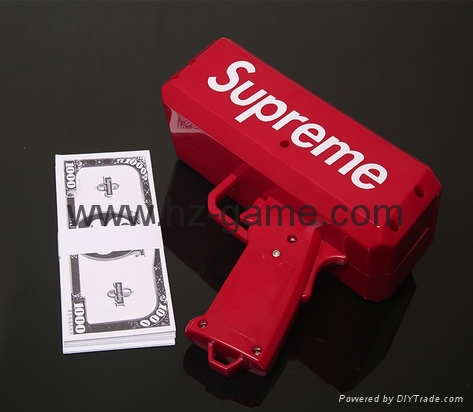 [Including] - 1 x money gun, 100 x paper money.